Merry Christmas! There’s something about Christmas and the festive atmosphere that makes us want to sing, play games—especially the children—and just have fun. 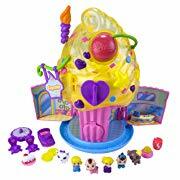 And the Top Christmas toys, Christmas gift ideas help us to do just that. No matter what their ages, children love Christmas and the Christmas toys they know will be coming their way. And lately, the toys are not just for the children. Each year some major toy retailers announce what they believe will be the popular Christmas toys for the year. And the most popular Christmas toys can be hard to track down. In fact, a humorous film was released on this subject a number of years ago. Jingle all the Way with Arnold Schwarzenegger is about a father who discovers the true meaning of Christmas while on a frantic search the day before Christmas for the Season’s hot toy. You may not like or agree with the choice; but if your child has his or her heart set on one of the top Christmas toys, nothing else will do. Children like to fit in and do what their friends are doing. They’re a marketing man’s dream. Once the idea of a toy catches on, no selling is required; the products simply fly off the shelves–all by themselves. One company executive states that there will always be shortages at Christmas so his advice is: if you know what your children want, buy it early–that is, if you don’t want to see disappointed faces on Christmas morning. While it may be funny to watch a fictional demented father trying to track down a much-wanted Christmas toy, trust me, the reality of finding yourself in that situation is not amusing. Voted one of the best toys for school-age children in 2009 by Parents Magazine, the classic Big Wheel is back in action again this year with the introduction of the Rip Rider 360 Drifting Ride On. 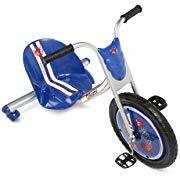 Riders ages five and above will love how this three-wheeler Rip Rider 360 drifts and coasts downhill and how easy it is to pedal. The rider is in for quite a ride as the back tires swivel all the way around. This three-wheeler, unlike its predecessor, has a steel frame as opposed to a plastic frame so it provides a sturdier and smoother ride. The iXL 6 in 1 System is actually 6 six different devices in one and comes preloaded with software for each of the six applications right out of the box. The six applications include digital reader, game player, note pad, art studio, MP3 player and photo viewer. 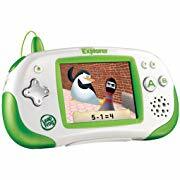 Similar to the Vtech VReader, the interactive iXL System encourages children who are three to seven years old to learn to read and expand their vocabulary. Fully equipped with a clip that includes 6 darts as well as three 18 dart clips, the Nerf N-Strike Stampede ECS Blaster will provide kids who are eight years and older tons of speedy fire power that is bound to give them hours of fun. Exactly what is a Sing-a-ma-jig? Well, a sing-a-ma-jig is only one member of The Sing-A-Ma-Jigs! ™ group of characters. And the toy’s name is an apt description. 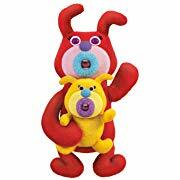 A sing-a-ma-jig is a small plush, squeezable toy about seven inches tall, that “sings” when you press its tummy. Seems silly? Maybe. But is it fun? No doubt about that. So meet The Sing-A-Ma-Jigs!™ –a clever product with a clever name to match. Introduced in the Spring of 2010, this group of offbeat, zany characters–created by Mattel’s Fisher-Price division — will surely put a smile on your face and delight any child. 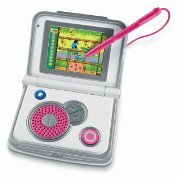 The Sing-a-ma-jigs promise to be one of the most popular toys of the year. One of the hot Christmas toys, the Truck and Tractor is a four-wheel drive truck that can handle all types terrain. It boasts nine-inch treaded wheels and a huge two feet long body. The actual dimensions of this awesome green machine are 28.6 inches by 19.4 inches by 18.2 making it the biggest and best yet. 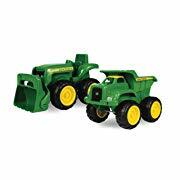 Recommended for age six and above, the Truck and Tractor will simply delight your child on Christmas morning. One of the hottest singing sensations in the music world can now go home with you for the holidays by way of the Justin Bieber Singing Dolls. 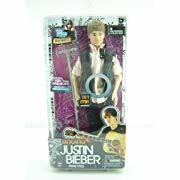 The Justin Bieber Singing Doll from Justin Bieber Doll Collection is already on the top 10 Christmas toys list. It will definitely be one of the most requested toys from girls six to15 years of age this holiday season. 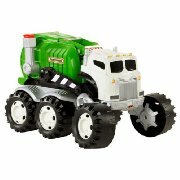 Joining Matchbox’s exciting Big Rig Buddies line of interactive toys this year is Stinky The Garbage Truck. Kids three years and older will like the fact that Stinky the Garbage Truck has oversized and easy to move articulated parts that allow movement of Stinky’s cab, wheels and body. They will fall in love with this toy’s feisty personality and his over 90 clever phrases and sounds. He is big and he’s ready to make his way into your home and your child’s heart: Bigfoot the Monster.Bigfoot comes to life with the included wireless remote control. He can be sleepy, angry, happy, or even sad. Bigfoot can also walk, talk, chew, burp, and throw a ball. He’ll let you know when he’s ready for the ball, saying phrases such as “Play”; andhe can throw the ball for even more fun. 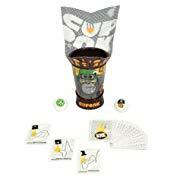 Bigfoot the Monster action figure has learned his manners, and always offers a polite “excuse me” when a burp slips out. 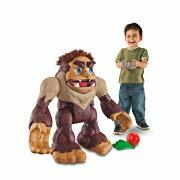 You won’t like him when he’s angry, though, as Fisher-Price Imaginext BIGFOOT the Monster. The Kung Zhu Hamsters are going to be just as big this holiday season as their predecessors, the Zhu Zhu Pets, were last year; and it’s easy to see why. In fact, they’ve already made the top 10 hot toys list for this holiday season. Unlike the cute and cuddly Zhu Zhu hamsters, Kung Zhu Battle hamsters are fierce fighting machines. They have an edgier appearance along with battle gear and combat armor. There are two different kinds of Kung Zhu Battle Hamsters, the Special Forces group and the Ninja Warrior group. Only one group will be victorious as they fight to the bitter end. You’ll discover all that you have to make an agreeable home for these animals inside the case for the Calico Critters Townhouse. The Townhouse is assembled with four spaces for living, eating or resting. Gone for kids ages three and up, the Calico Critters Townhome gives a creative getaway to any kid. The Critters Townhouse is an excellent toy that has been around for quite a long time. The Calico Critters can be bought in sets or in families. These toys range from bears, canines, frogs, felines, mice, bunnies and a mess more. You can buy your most loved warm blooded creature family that Calico Critters Townhome. Ku what? Cuponk! It’s a game that can be played by people of all ages, although the manufacturer recommended age is five years and older; and it’s gaining in popularity as the holiday season approaches. Made by Hasbro, there are actually three different versions of this game: the Cuponk! – Gorillanator, Cuponk! – El Campeon and Cuponk! – Let it R.I.P games. If you would like to get the children away from the TV or computer for a while. Taking their standards to a new high with the addition of Dance Star Mickey to the Fisher Price family of toys, Fisher Price has introduced another winner to this holiday season. Dance Star Mickey is already on the top 10 list of hot Christmas toys. 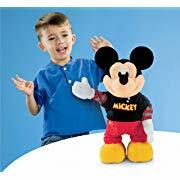 It is the most animated Mickey Mouse toy ever and is made for kids 18 months to six years of age. Fisher Price Dance Star Mickey walks, talks, sings and dances to a variety of new grooves. There are a total of six songs including the songs “Shake Your Groove Thing” and “Get Up Offa That Thing” as well as a number of various dances including Michael Jackson’s famous moonwalk. The Spy Net Video Watch has a real working video camera and built-in microphone that can record up to 20 minutes of video and sound. The quality of the recording and playback is surprisingly good based on the size of the product. The Spy Net Secret Mission Video Watch also allows you to take still photos as well as time elapsed photos. The manufacturer does not recommend it for children who are under eight years. Packed with high tech spy features, one particular feature that really stands out is Spy Net: Secret Mission Video Watch. Kids ages eight and older will love the Hot Wheels R/C Stealth Rides Racing Car mainly because of its speed, portability and ease of use. So once again, Hot Wheels has hit a home run with its new foldable, pocket-sized car–just in time for the holidays. 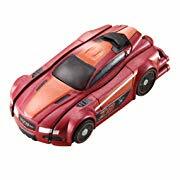 The Hot Wheels R/C Stealth Rides Racing Car is a three-inch miniature racing car that folds up and into the combination remote transmitter/car holder. Most remote controlled cars in this category consist of a separate bulky RC transmitter; and that’s what makes the Stealth Rides Racing Car such an innovative R/C toy. If your kid is very small you can get a food teether for him or her as a gift.